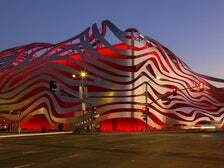 Following an extensive $125-million renovation, the Petersen Automotive Museum reopened to the public on Monday, Dec. 7, 2015. 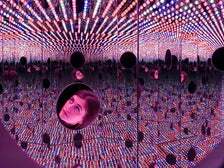 From world-class museums to historic libraries, here are some of the best cultural attractions in Los Angeles for a rainy day. 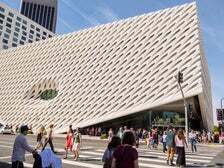 There is no shortage of world-class museums in Los Angeles, but given that the average temperature is 72 degrees and sunny, many cultural institutions are designed with the outdoors in mind. 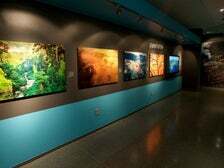 On those rare days when it rains in L.A., here are ten arts destinations you can visit without feeling guilty about skipping any adjacent gardens and outdoor sculptures, so you can see art and still stay dry. 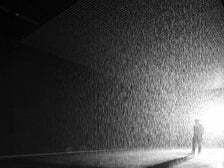 Now on view at the Los Angeles County Museum of Art (LACMA) through April 24, 2016, "Rain Room" is an immersive environment of continuously falling water that pauses wherever a human body is detected. 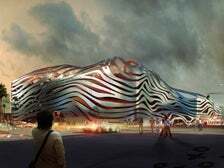 The museum’s new exhibits feature Disney/Pixar CARS characters, Xbox/Forza simulators, BMW art cars, the new $400,000 Ford GT, an amazing motorsports gallery, virtual tours on your iPhone or iPad, and much more. Now in its fourth year, Grand Avenue Arts: All Access returns on Saturday, Nov. 3 to showcase the world-class arts and cultural organizations located on Grand Avenue between Temple and 6th Streets in Downtown L.A. Taking place from 11am to 4pm, the one-day, free community event will feature live music performances, docent-led architectural tours, family-friendly readings and films, educational opportunities, scavenger hunts, exhibition tours, craft-making activities and free open-house access. Grand Avenue will be adorned with colorful balloons and signage to help guide visitors. Grand Ave Arts: All Access is a collaborative, community-inspired endeavor that celebrates the participating arts institutions' commitment to the cultural landscape of Los Angeles and its many communities, and to spotlight the world-class architecture and programming that define the Grand Avenue corridor and L.A.'s cultural center. 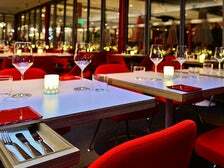 For convenient access, Go Metro and take the Metro Red or Purple Line to Civic Center/Grand Park Station. To find out your best route, use the Metro Trip Planner or call (323) Go Metro (323.466.3876). "The Idea of North: The Paintings of Lawren Harris," curated by Steve Martin and co-organized with the Art Gallery of Ontario, is on view at the Hammer Museum Oct. 11, 2015 – Jan. 24, 2016. 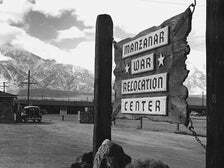 On view at the Skirball Cultural Center Oct. 8, 2015 – Feb. 21, 2016, Manzanar: The Wartime Photographs of Ansel Adams features 50 little-known photographs by celebrated landscape photographer, Ansel Adams that depict the treatment of Japanese Americans at the Manzanar incarceration camp in central California.